DO YOUR SERVICES EXTEND BEYOND DALLAS? In addition to serving the locals of Dallas, our Appliance Repair Experts also serve Plano, Garland, McKinney and many other places. CAN YOU HELP ME ON THE PHONE? We get frequent calls from our customers on a daily routine asking for our repair services. However, when you give us a call, we expect you to give us complete details about the problems you are having with your appliance then we try to figure out what the problem could be before showing up at your place. Sometimes, when we figure out the issue and find out that you can handle it yourself, we give you guidelines on how you will fix your appliance, but if the issue is complex, we will schedule out our time and come to your place. We do this to save you from paying for unnecessary services that you can handle on your own. ​In case you have questions, check out on our Household Appliance Repair FAQ page. We have compiled all the information you might require including what can help you diagnose and maintain your appliances. We service all types of appliances around your household appliances around your home, garage, kitchen and laundry room. 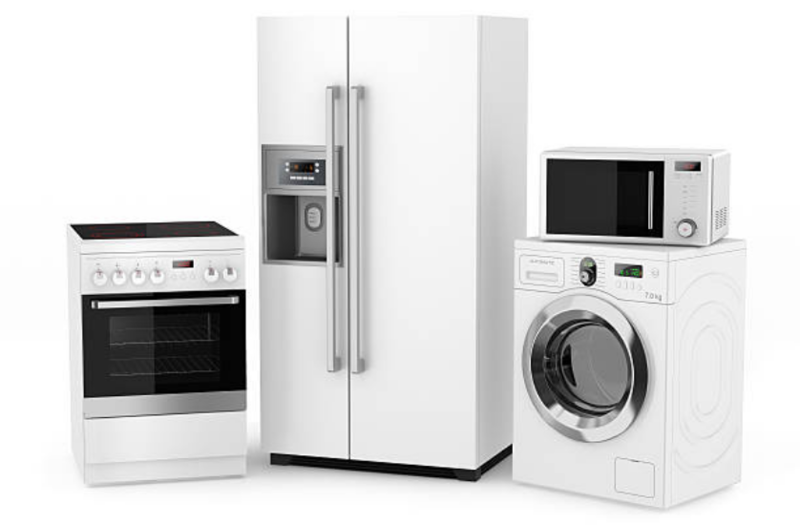 We repair both small and large appliances; therefore, the size of your appliance should not worry you. We feel happy when we are able to diagnose your appliance and repair it at an affordable price. DO YOU HAVE STANDARD BUSINESS HOURS? Our company is usually opened from 8 in the morning to 5 in the evening daily. We are always available on phone and online too. In case you fail to reach us, be assured that you will not fail to hear from us within 12 hours. Also, we do not fail to return your voicemail because as our customer, you are our topmost priority. DO YOU OFFER EXPERT TIPS ON REPAIR? We have provided you with lots of information on our FAQ page as well as specific information on each type of appliance we repair on a routine basis. We offer you price quotation over the phone. However, when you inform us about your appliance we expect you to inform us about the year you bought your appliance, the model of your appliance as well as all the symptoms your appliance is having. We use these factors to determine the amount of money we will charge you.